Gifu is located in the centre of Honshu, Japan’s main island. The prefecture has the distinction of being the site where the Battle of Sekigahara was fought in 1600 which subsequently changed the course of Japanese history. Tokugawa Ieyasu, the famous samurai warrior, emerged victorious from the battle and established the Tokugawa Shogunate, also known as the Edo Bakufu, which remained in power until 1868. The prefecture is also home to the UNESCO World Heritage Site of Shirakawa-go, many picturesque historic towns, an array of wonderful hot springs (Onsens), beautiful parks, vast mountain ranges, cormorant fishing and the famous bi-annual Takayama Festival held every spring and autumn. Gifu is easily accessible from Nagoya’s international airport or from Nagoya’s central train station. Journey time from Nagoya to Gifu is about 20 minutes by train and around two hours from Tokyo. For more information about Gifu prefecture, see their official tourism website. Air - The closest airport is Chubu International Airport(Centrair) and journey time by train via Nagoya Station is just one hour. Click here for its English website. For visitors going to Shirakawa-go or Takayama, Komatsu Airport is a convenient entry point. Click here for its English website. Rail - The main station in Gifu is called "Meitetsu Gifu". The journey time from Tokyo is around two hours. 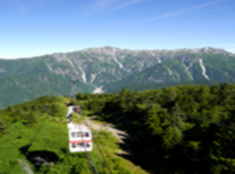 The Shinotaka Ropeway in Takayama is a double-deck gondola that takes you to the mountain summit for spectacular breath-taking panoramic views over the Northern Japan Alps. Each season brings its own unique scenery and is considered a “not-to-be-missed” experience for visitors to Takayama. 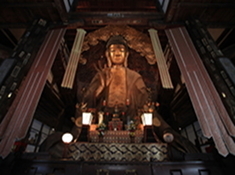 Gifu Great Buddha is just under 14 metres tall and regarded as one of the three Great Buddha Statues in Japan. Completed in 1832 it took 38 years to create and is unique in that the central pillar was constructed of wood from a large ginkgo tree. 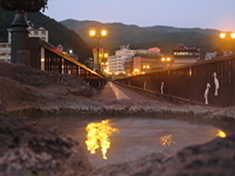 Gero Onsen is regarded as one of Japan’s top three hot spring resorts. It is popular for the pure nautural water it produces and is appropriately called the “Bijin no Yu” (literally beauty-enhancing hot spring water). 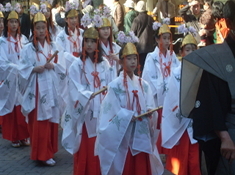 Takayama Festival dates back over 400 years and is considered to be one of three most colourful festivals in Japan. The festival is held twice a year in spring and autumn and attracts visitors from all over the world.